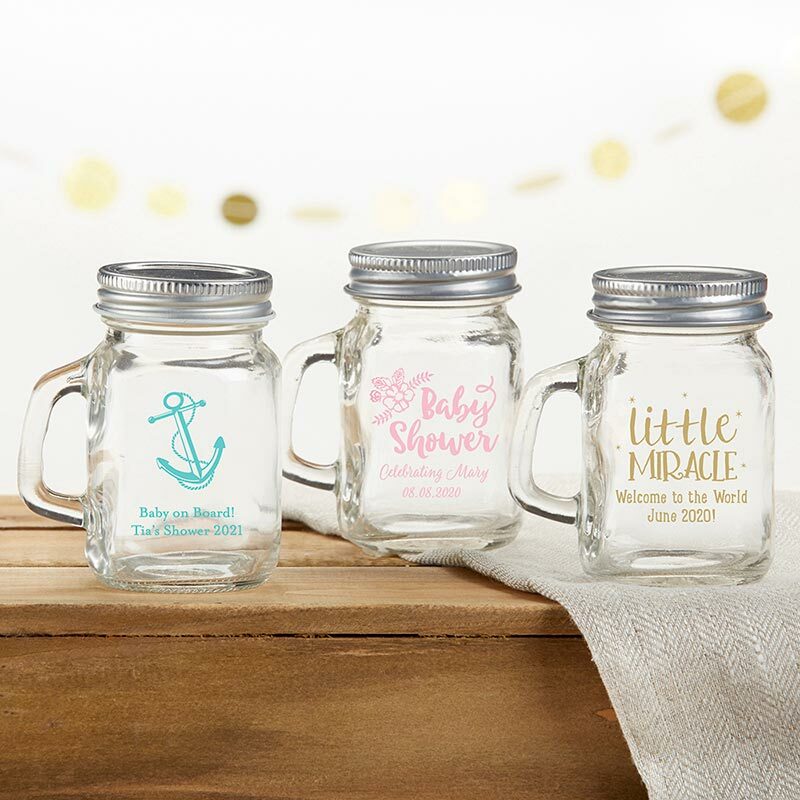 As tiny as that sweet new little one you're welcoming into the world--but not nearly as cute!--Kate Aspen's Mini Mason Mugs are an adorable way to say thank you to friends and family that attend your baby shower. Designed with a handle and screw on lid, fill these cute mini glasses with candies or other small treats. Choose from any number of baby shower-inspired designs and personalize with your little one's name, monogram or baby shower date to make these baby shower favors one-of-a-kind. 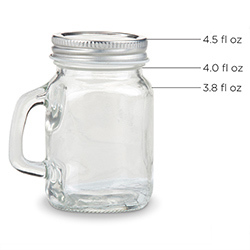 Mini mason mug measures approximately 3.3" h x 2.8" w; holds approximately 4 ounces.